The Sixth Extinction features 33 minutes of sludgy death metal. Think of a cross between Crowbar and Bolt Thrower and you’ll not be too far off from where Nadir operate. There’s also a touch of Obituary, Coffins, Incantation, and High on Fire here and there. The music is heavy and slow, (for the most part at least), using melody and crushing riffs to help tell the tale of the album’s central concept of environmental damage, overpopulation, and human-caused species extinction. 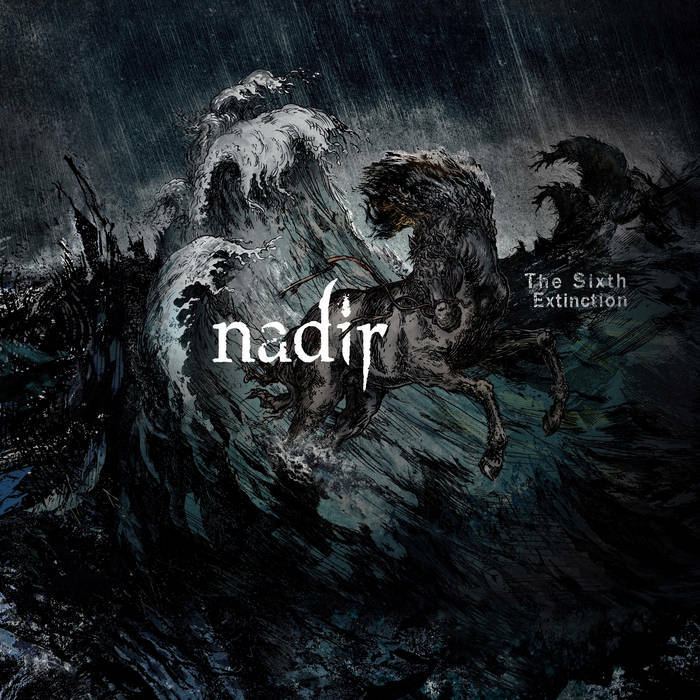 Heavy and slow is a very fitting description of Nadir’s music, to be honest, and neatly encapsulates most of what you really need to know about the band. Having said that, it should also be noted that the songs on this album are well-written and have quite a few memorable moments and enjoyable hooks in them. This is music that’s simple and effective, but not lacking in substance either. I liked this very much. The album’s length means it’s easy to enjoy when you want a brief hit of doom-infected metallic heaviness, and substantial enough to be satisfying. This entry was posted in Death Metal and tagged Bolt Thrower, Coffins, Crowbar, Death Metal, Doom, High on Fire, Incantation, Metal, Nadir, Obituary, Sludge, Sludge metal. Bookmark the permalink.